La Mer's two new limited edition Destination Collections for The Crème and The Moisturizing Soft Cream help skin withstand the stresses of travel and leaves the complexion deeply moisturized, softly radiant and healthy-looking. The Regenerating Serum .5 oz. The Eye Concentrate .5 oz. 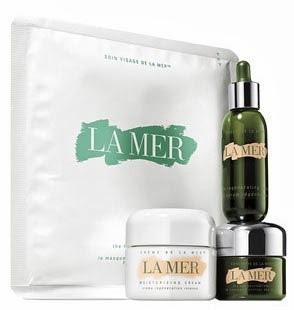 Shop The Destination Collection: The Crème and The Destination Collection: The Moisturizing Soft Cream at $440 each.